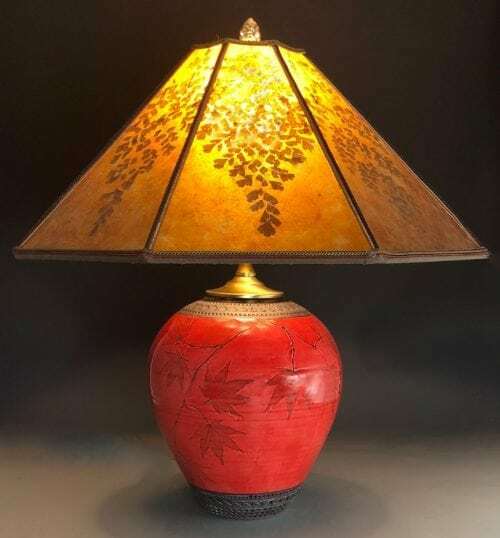 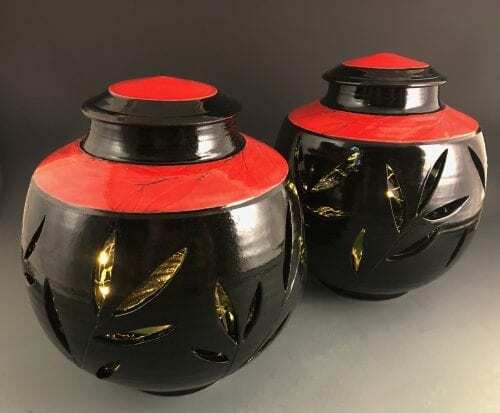 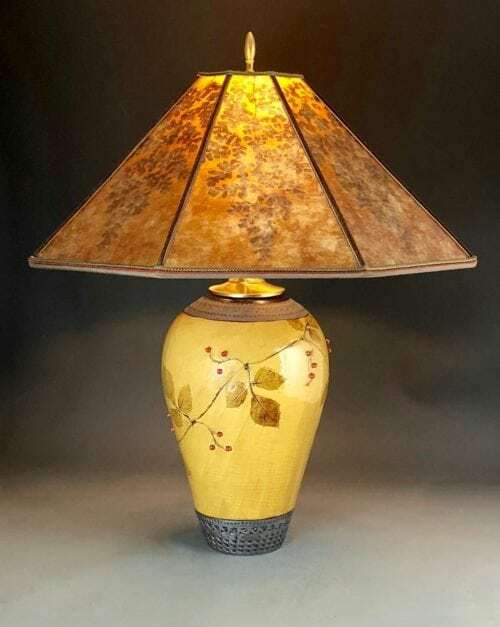 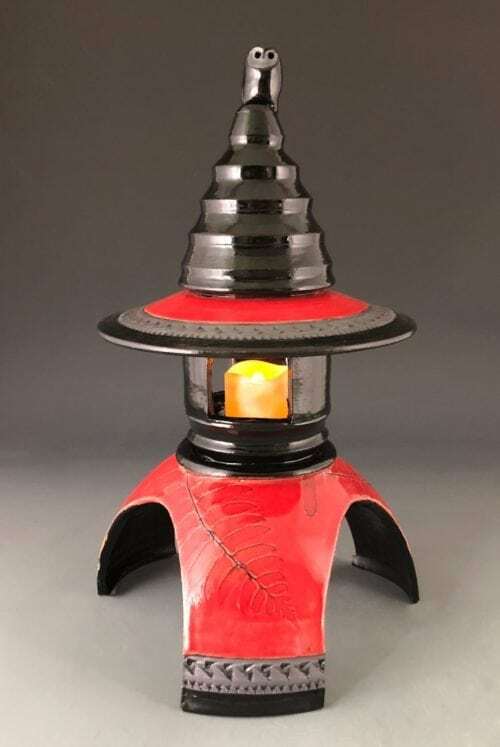 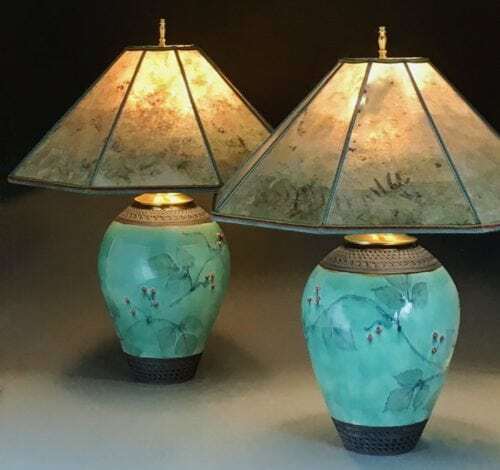 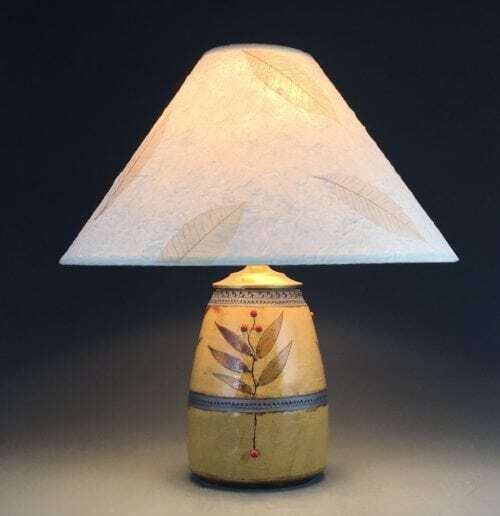 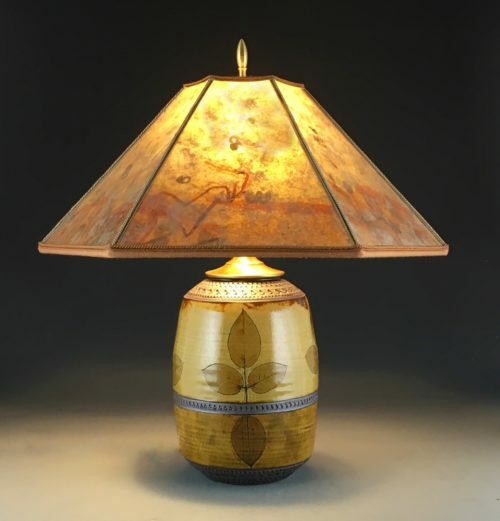 In this collection you’ll find a variety of Suzanne Crane’s handmade stoneware lamps with a variety of shades, including mica, embroidered cloth, and handmade paper. 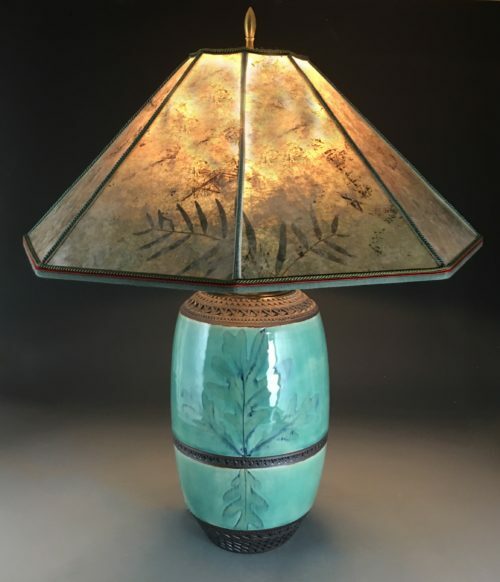 Some are available for immediate sale, and many are available to order. 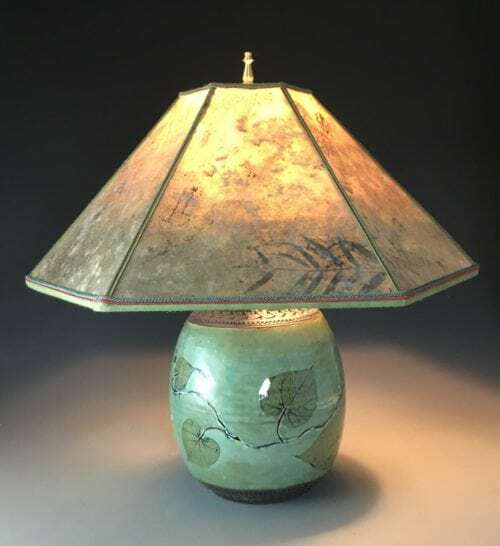 Use this section for inspiration, then call to discuss ordering a custom lamp in the size and color you need, with the type of shade that best suits your needs. 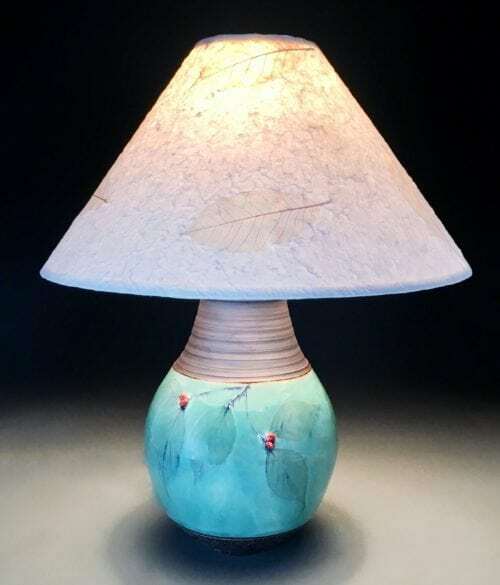 If you need a lamp now, go to Pottery Available Now.